We want to thank you for a wonderful school year. We have enjoyed each school we have traveled to and worked with, and every class has been amazing! To all the administrators who invited us in, thank you. Due to your positive response(s), kind words and sharing with us what you would like to see for next year, we have created the following student workshops for the 2011-2012 school year. We travel all around the United States and we are in dialogue with a few countries too 🙂 for future proposals. We are provide our workshops to schools, youth groups, summer camps, church groups and within the community. Given our focus as a company, we love to work side-by-side with charities for schools and/or communities, donating portions of proceeds to selected charities. I am thrilled to share that we have two workshops already booked for the end of September, by two schools we have worked with on curriculum alignment this school year. All of these workshops ultimately benefit our children, our future. We are happy to come into schools, summer camps or church groups to teach. References will be provided upon request. Christopher Paolini, author of the popular “Eragon” series, published his first eBook at the age of 14. Could you be the next teen author? Get inspired during this ePublishing workshop for teens. Learn how to turn your original works into an academic portfolio and build your future through writing and ePublishing. This workshop provides examples of successful teen authors, sites for teens to submit writing and poems for online contests and a basic overview of ePublishing. Note: This workshop is very popular with teens and we have received many favorable responses from educators, teens and parents. This workshop begins with a review of “You Can Make a Difference” workshop, spending the first 15-20 minutes discussing how we all can contribute and help each other for the greater good. In this workshop, examples are given via video clips of 11-13 year olds who have been victims of bullying, its effects and strategies used to overcome it. Students work together as a group to create a slogan for their school environment’s “Words, Action, Character”. Students will identify words that empower the slogan created and words that destroy its meaning. This workshop is designed to educate students on the legal ramifications involved with the improper use of social media tools. i.e. Twitter, Facebook, AIM, IM, Blogs, MySpace, etc. Examples are provided to identify improper use and the results and consequences of such action. Leadership is highlighted in this session along with character attributes. An overview is given along with examples of how the actions of today are judged by future colleges and employers. 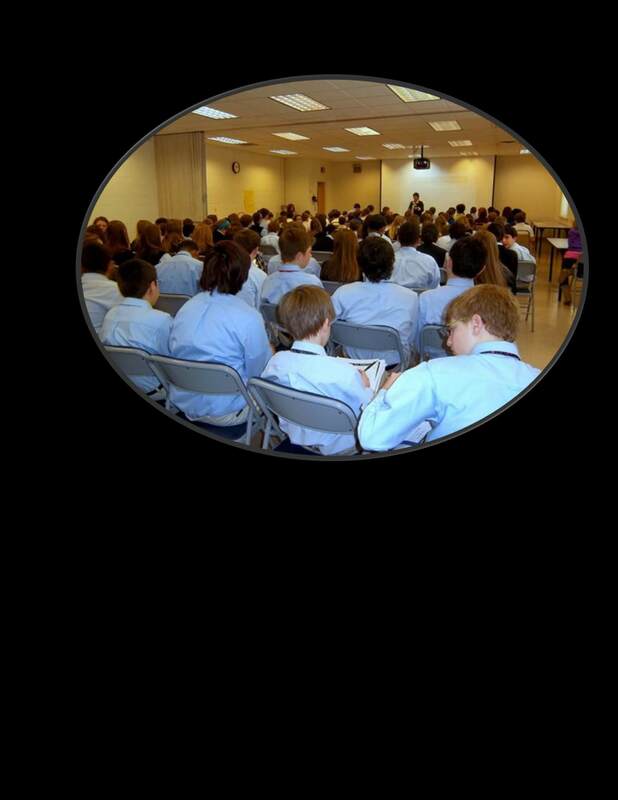 *Given size of school, this session can be divided into two groups: grades 9 & 10 and 11 & 12. This workshop is a two-session workshop. Session I: This workshop is a fun and creative way to get students of all ages excited about writing. We come into the classroom to go through the writing process with class. Within this workshop, students brainstorm ideas, create an outline and write story. Once this process is complete, students are assigned aspects of their story to illustrate on paper. Note: Once session I and II are complete, eBooks can be published online for direct profit to classroom or school. All of these workshops ultimately benefit our children, our future, and theirs. We are happy to come into schools, or work with summer camps, home schooling and church youth groups. References will be provided upon request. We have worked with many school groups this years, conducting student workshops while raising money for charity. Please visit our website for further details. Packages are availabe and are discounted. Unlock the Teacher LLC "Teen ePublishing Workshop"
Christopher Paolini, Author of the popular “Eragon” series, published his first eBook at the age of 14. Could you be the next teen author? Get inspired during this ePublishing workshop for teens. Learn how to turn your original works into an academic portfolio and begin to create a cornerstone for college via ePublishing! Seminar runs 90 minutes and can be scheduled for up to 100 students. Please contact us for scheduling a customized workshop to meet your needs. Students from 1st grade through twelfth grade find this workshop fun and beneficial! We take students through the writing process accompanied with our unique twist. Once students have outline in place, students discuss, collaborate and sketch illustrations for the work created. After these steps are complete, we demonstrate and facilitate the editing and publishing piece of the workshop until students are able to view a finished product. Regardless of age, it never ceases to amaze me just how excited students get to know that they are now “published” authors. * This is one of my favorite workshops to conduct :-)…large or small groups work fine. We customize workshops to meet the needs of school. We have also conducted Anti-Bullying Workshop and additional workshops are being created as we receive requests. If your school or school near you would like to see kids get excited about writing…visit our website at www.unlocktheteacher.com to schedule a workshop for next year! We Have Added Many Great Educational Resources and Games…Check it Out! From Flannagan’s Ranger’s Apprentice awesome site for tweens, teens and educators, to Christopher Paolini‘s Eragon site with games galore, we have tried to add some great educational resources for all to enjoy. We have tried to add more educational resources to help our home school parents that write-in and ask us for resources. We will continue to research and add. Our goal is to have a great library of resources for everyone to utilize come summer. Have a wonderful time exploring these fabulous sites. P.S. The Ranger’s Apprentice site has a contest going on now! Our Unlock the Teacher LLC ePublishing Teen Workshops in Schools This Week Went Great and Were Inspirational! We have had such a great time this week going into schools, talking and working with teenagers about how to utilize their great ideas and talents to earn college money. There are so many successful teen authors out there. The groups we met with shared books they are reading or have read and were amazed that some of them were written by teens. When we brought up the Eragon series, each school group cheered or expressed loudly their love for this series. Out of hundreds of teens, only a handful knew Christopher Paolini history and how as a teenager he wrote Eragon. TeenReads.com is just one of many sites we recommend in our workshops, for teenagers to seek out information on their favorite authors. Author Ashley is another great example we use to demonstrate how teenagers can turn their crazy dreams, ideas and thoughts into eBooks and be successful. One of the neatest pieces to Ashley Author’s story is that her whole family participates in the process…much like Christopher Paolini family. In our community ePub workshops or small group workshops the parent-child collaboration seems to draw huge interest. We are currently working with a principal who loves the teen/parent workshop idea and we are developing a workshop specifically tailored to his audience in his district. Children have great ideas and if we only pause and listen, there is much we can learn from them. Speaking of learning, one K-2 group that we met with this week were so cute but so full of ideas that after our eBook Reading Workshop, we met as a team and wrote down some of their ideas that we could use…a plethora of great ideas from wise children under the age of 8! This is a great reminder that we should always seek knowledge… if open to it, it can come from the least expected places and people. More to come as I begin to write down these great ideas from children to share. Knowledge is meant to be shared…may we seek it and share it! P.S. If your child or classroom has a good idea and you would like to share with us and our readers, we would love to read it!